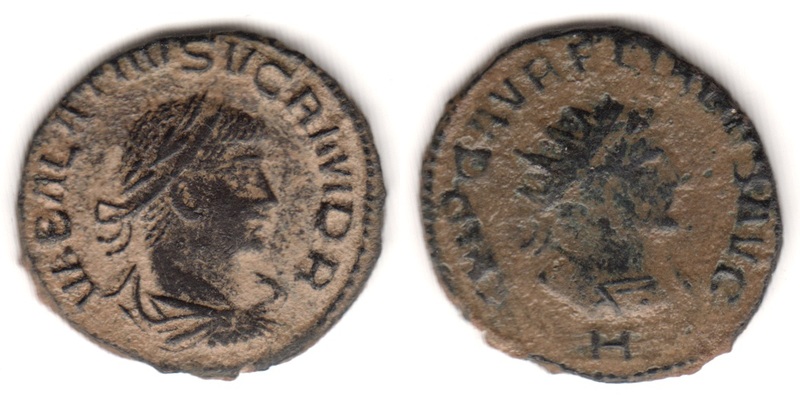 Minted at the 8th officina (H) in Antioch (Antakya, Turkey) in 270-272 A.D.
Sear, D.R., "Roman Coins and their Values" (RCV Millennium Edition), Vol. 3, p442, nr. 11718. Sear, D.R., "Roman Coins and their Values" (RCV 4th Revised Edition), p284, nr. 3292. Van Meter, D., "Handbook of Roman Imperial Coins", p271, nr. 1.